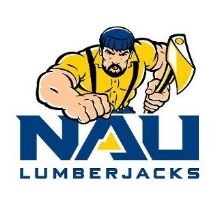 It is the mission of the NAU Lumberjack Performance nutrition team to provide all student athletes with educational resources on nutrition to promote academic and athletic success. It is our goal to educate student athletes on the foundations of proper nutrition supported by current, evidence-based resources. Our program is dedicated towards improving the health of all student athletes by improving recovery time and performance while preventing injury and illness. Are you a student athlete at NAU interested in joining nutrition education sessions that could help you prepare for year-round training and competition? Contact us to get your team involved with nutrition education! Individual sessions are also available to all athletes, despite team participation. Each session will cover a different topic related to nutrition and wellness to specific sports. Food recipes, food demos and samples of healthy food options will be available at every session! Are you a student athlete looking to improve your personal well-being and overall nutritional intake? Well we are here to provide you with the information and tools you need to succeed! We offer a nutritional overview that includes what your calorie and nutrient intake should look like and how to improve your performance both athletically and academically. In addition, we offer One-on-One coaching and Grocery Shopping Tours. If you are interested in one or more of these components that our program has to offer click the follow button below! Are you a coach interested in getting your team tested or wondering what we can offer your student athletes? The NAU Lumberjack Performance nutrition team is here to help your student athletes improve their performance and reach their peak potential. Click the button below to find out more! Looking for a place to start your research? Unable to attend a nutrition education session? Not a problem! Click on the following button to find out new information along with originial resources.